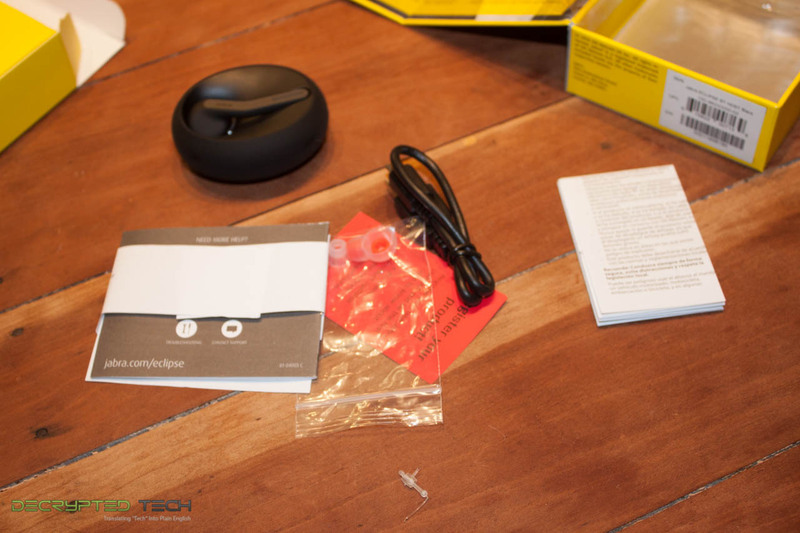 The Jabra Eclipse box is fairly small. This is not surprising as there is not really much inside. 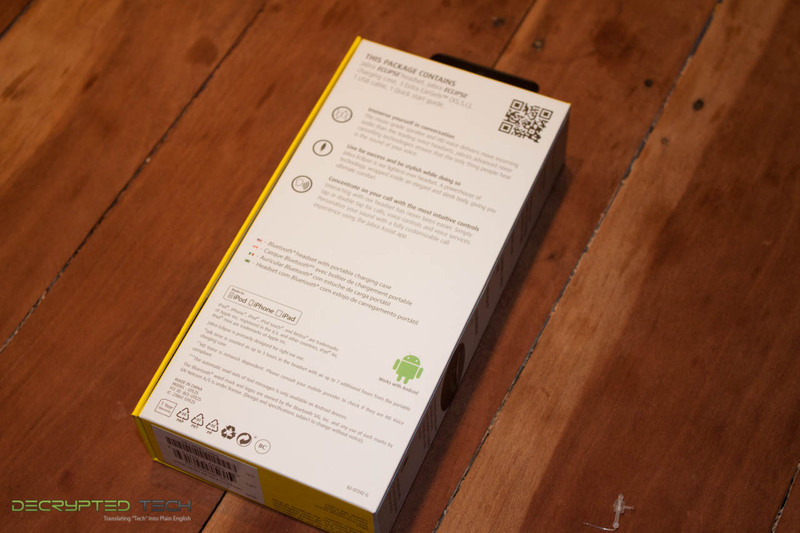 Jabra does show off the Eclipse on several sides of the box so you know what you are getting right away. The lid ia a wrap-around style lid that uses magnets to hold everything in place. On the back is a QR Code that will give you a lot more information on the device if you were just looking at it in the store. Inside of the box is pretty much everything you need to get going. With the exception of the apps that you will have to grab from the Google Play Store or the iTunes App Store. The Jabra Eclipse is very small and is intended to be light weight and unobtrusive. It is only 5 cm long and weighs in at 5.5g. It is constructed of a single formed piece of plastic with metal accents. It has a very sleek and stylish look with rounded corners and a sweeping arm for the microphone. Unlike most other wireless headsets there is no charging port on the Eclipse. You have to use the charging base to do that. There are two magnetic pads on the ear post that connect to corresponding pads in the charger base. These allow for fast and efficient charging and also prevent the Eclipse from dropping out. The base is also intended to be light and stylish (only 35g). It is oval in shape and fits in the palm of most hands. It looks like it was designed to fit easily into a front pocket when you think about it. Either way the charger holds a few nice features outside of the extra seven hours of battery life that if provides (for a total of 10 hours). One of these is the ability to use NFC to pair with a device quickly and easily. The Eclipse uses Bluetooth 4.1 to keep connected and also to connect to any device that does not have NFC. There is really not much additional technical data available on the Eclipse. 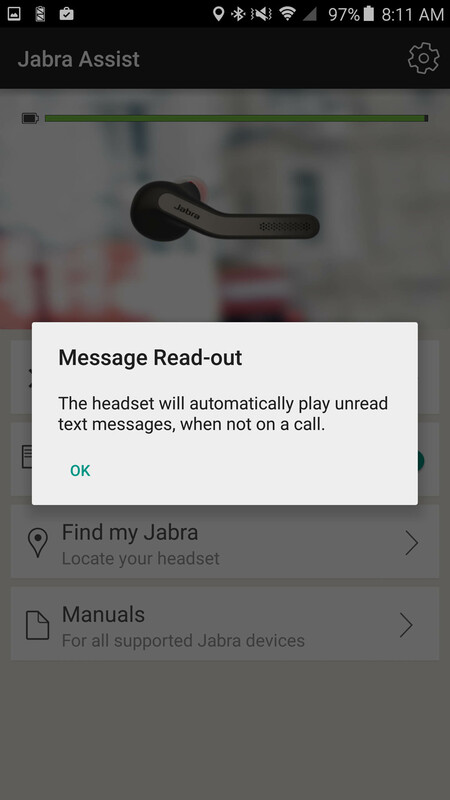 We know that Jabra employs their own noise cancellation and also has traditionally tuned the audio to maintain quality so we have no reason to believe that the Eclipse will be any different especially as it is supposed to allow you to compose text messages, read back ones you receive and work with voice commands on your phone (through an app). 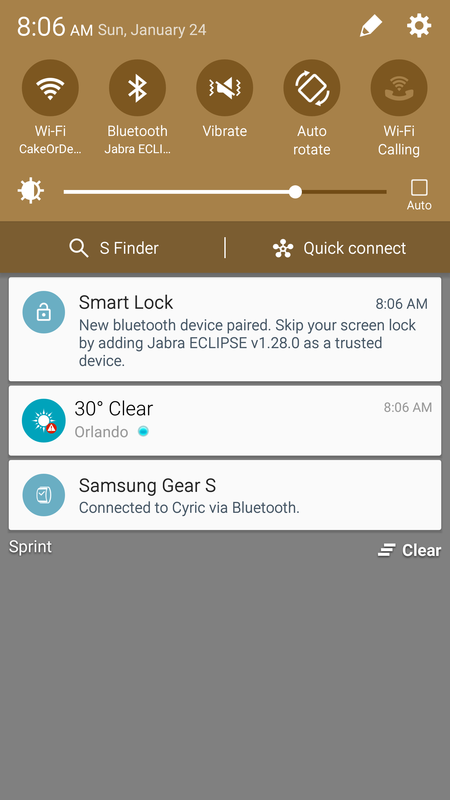 In order to get the most out of your Jabra Eclipse you will need to install a couple of apps on your phone. 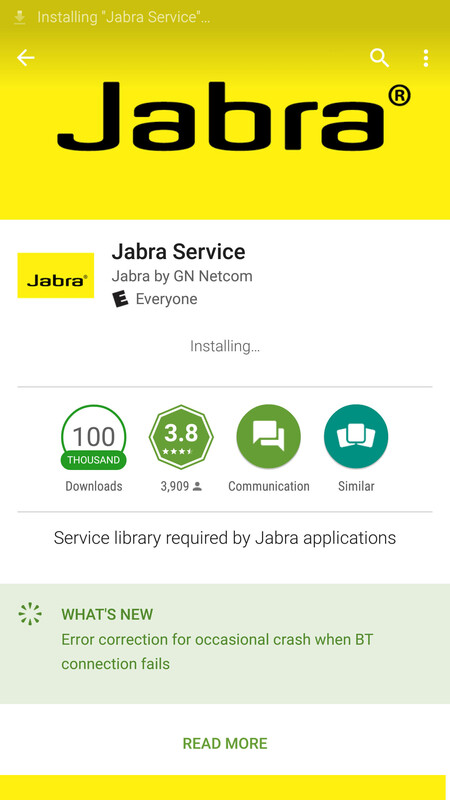 The first is the Jabra Service. This app is intended to allow the Eclipse (and its app) to access background services on your phone (iPhone or Android). 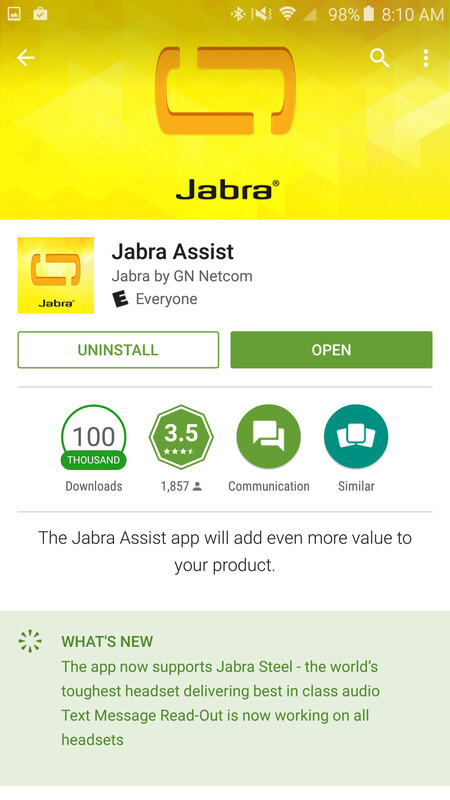 If you do not have this installed you will not be able to install the main application, Jabra Asist. 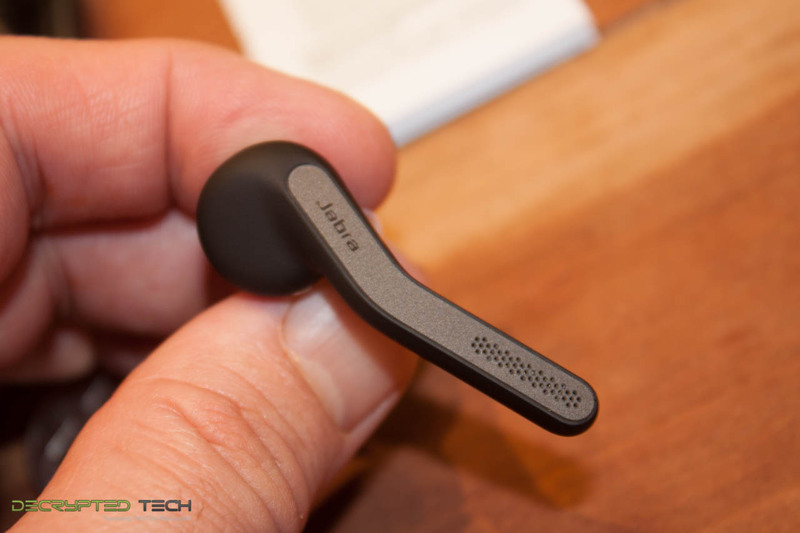 Now when it comes to Jabra Asist you get quite a bit of functionality out of it. This app allows you to see the current battery level of the Eclipse, to have your system read-back text messages as they arrive (provided you are not on a call and are using Android), track the location of the Eclipse in the event you lose it, and many other voice activated commands. For basic call audio functions, you can even adjust the way you hear things. 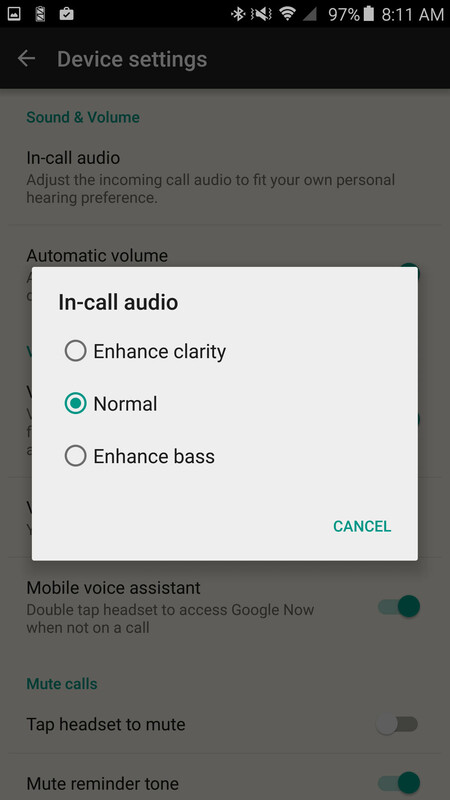 From enhanced clarity to enhanced bass. 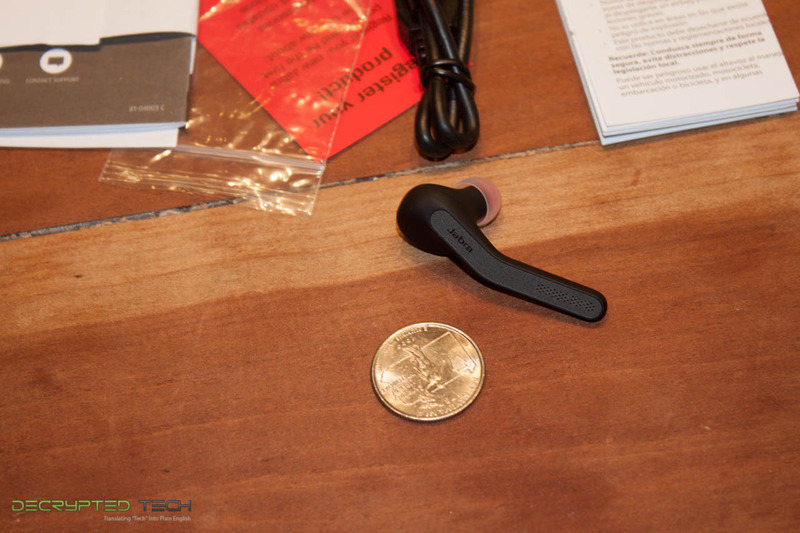 It will also automatically adjust the volume based on the noise it hears thought the mic. For voice commands you can access Google Now or Siri (or whatever the default voice command application is) to make calls, send text messages and even start navigation if needed. The system can look up items for you using the search functions as well. One caveat to this, on the iPhone you can access Siri through the lock screen without any issues. You just pair the Eclipse, install the Jabra service and Jabra Assist and you are good. On an Android phone things are a little different. You have to set up a trust with the system so it knows that it can unlock the device and use those services. This has the side effect of unlocking your phone anytime you want to use the voice command system. There is no way to prevent this. If someone gets ahold of your phone and headset they can gain access to anything on your phone. 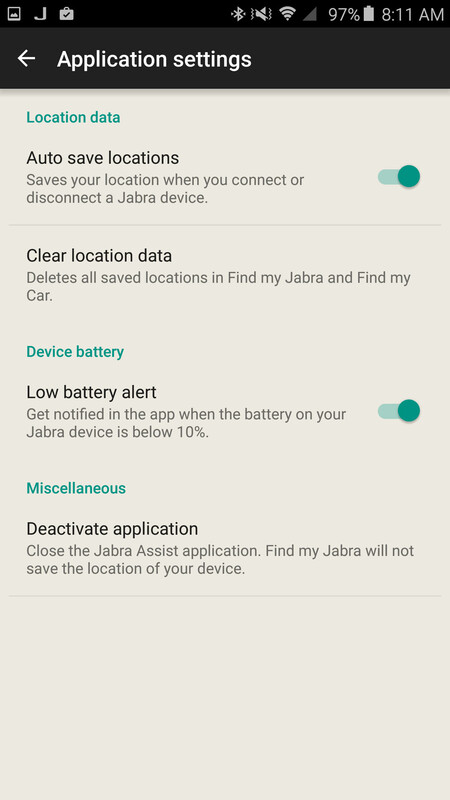 This is very bad and Jabra really needs to look at this. 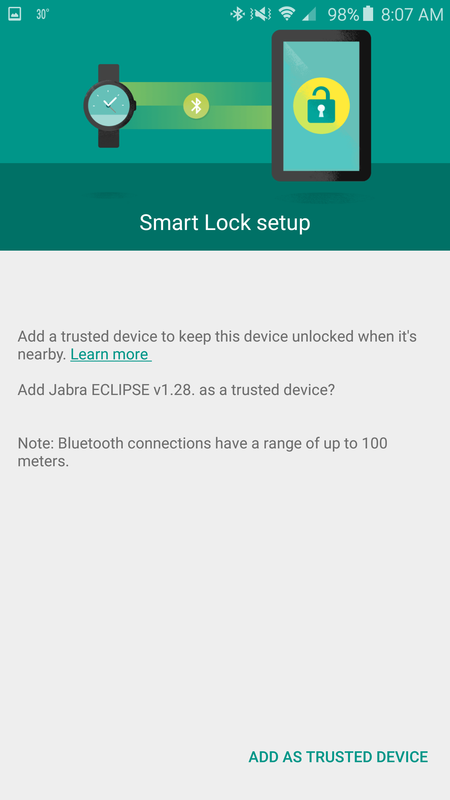 If you like to keep your phone locked, we would not recommend using this particular feature until Jabra and Google fix it. 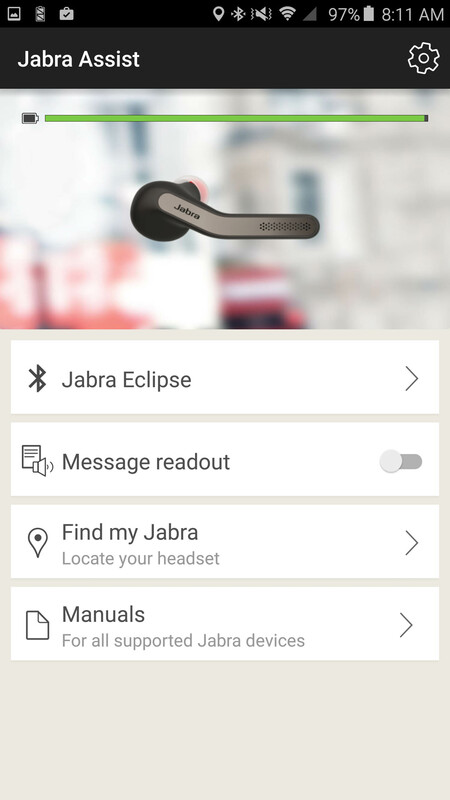 Another cool feature of the Jabra Assist app is to locate your headset if needed. Every time you use the headset a location marker is set. This way you can see where you should have had it last. When you view the mapped location you can also turn on a tone that will allow you to locate the headset. If you are not happy with your location being tracked, you can turn this feature off or just delete the location tags on a periodic basis. With audio gear it is hard to be objective. After all different people like different call quality, volume and other items are all subjective. In general, you can cover battery life and build quality from an objective standpoint, but other items can vary from person to person. To make sure that I cover the audio products that we get here at DecryptedTech I like to have more than one opinion. With something like a wireless headset that is meant for calls and texting things can get really complicated. Ok first things first; ease of use. If you have a newer phone you can enable NFC temporarily to pair your new device. All you need to do is press the button on the bottom of the charging cradle until you see a blue light flash. The hold the bottom of the charger to the bottom of your phone. 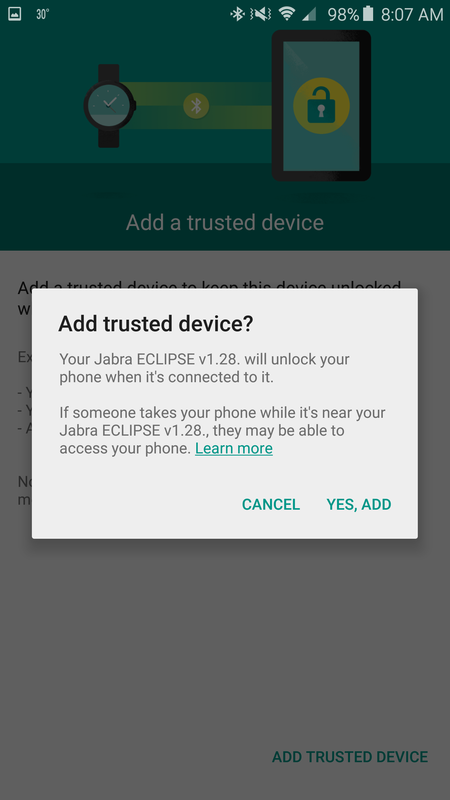 It will ask you if you want to pair the Eclipse and should ask you if you want to allow it as a trusted device for use through the lock screen. After all of that is out of the way and you want to start using the Eclipse the gestures/motions to get things going are pretty simple. If you have opted to use the voice command all you need to do it tap the headset twice and wait to hear the command prompt. From there speak what you want (“call bob”, “text bob” etc.) and it will do it for you. Very simple to use. Answering a call is also very simple, you can say “answer” and it will pick up, or you can double tap the Eclipse and it will also pick up. 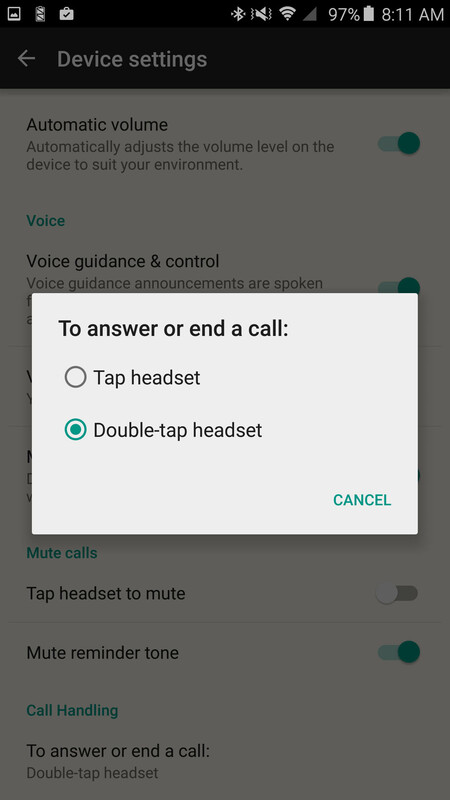 Ending a call is the same double tap. A single tap gets you information about the battery life and the connection (mobile etc.). It is probably one of the easier to use headsets we have played with in years. This is one of those subjective things that we talked about so we will not just give you our opinion, but we will start out with it. For the most part even running on the normal quality call setting you can hear and be heard very well. Even in noisy environments you are still not going to get drowned out. As part of the test we made all call with a fan blowing directly in our face and things were still very sharp. The person on the other end did not hear the rush of the wind and only noted an “odd” sound in the call. Using the enhanced clarity feature added in a bit of noise in the higher frequencies while the enhanced bass cleared all of that out and we did not hear any hiss or popping on the line. Our additional test subjects agreed that the call quality was good, but also noted a muffled sound when using the enhanced bass and at times when moving and using the headset. Interestingly enough people on the other end of the call noted a muffled quality to the audio when the wearer had any facial hair. This included a three-day growth that I had during one portion of the test. Shaving that off fixed the issue. 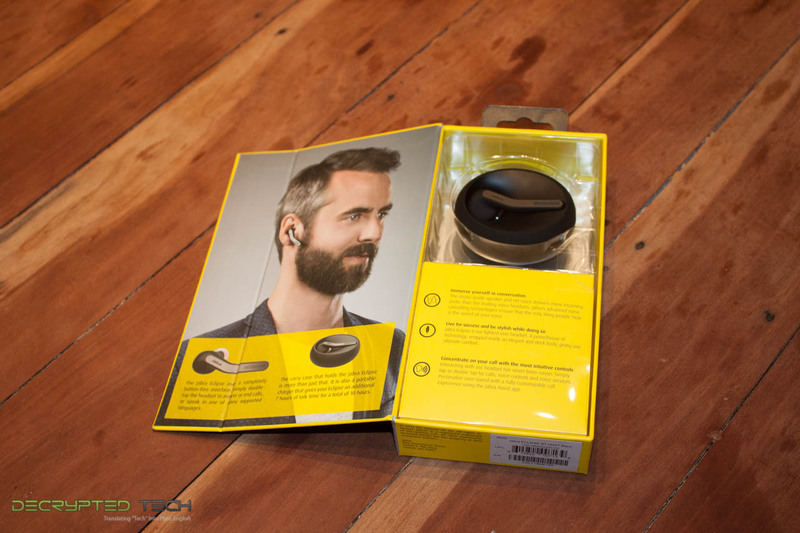 This is not the first time we have heard a complaint about facial hair and a hands-free headset though so we doubt it is specific to Jabra (although you will want to keep this in mind). 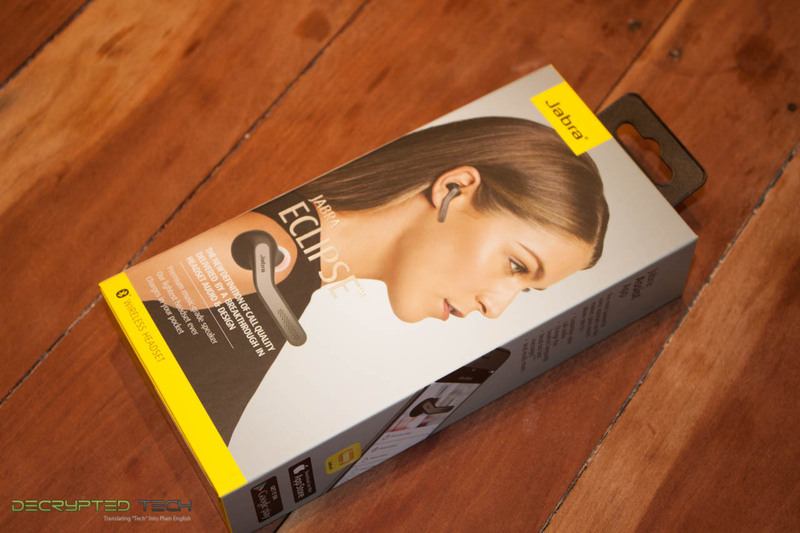 The Jabra Eclipse is very light and built for comfort. 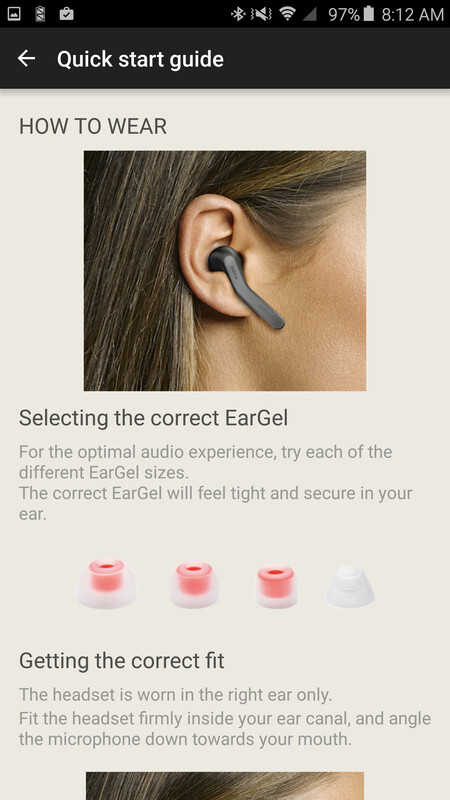 They have included multiple ear pieces to ensure that you have the right one for your ear canal so you are not going to get an ache after extended use. For us, the length of time we could comfortably wear it was about 2 hours. After that it did get a little annoying, but not painful. Your millage may vary though. These two functions are becoming all the rage these days and for good reason. Reading or sending text messages while driving, biking, and even walking can lead to injury or death. You might laugh to hear that, but we now have people that have died while talking and texting. Having the ability to properly send a text by speaking and getting it read back are a very nice option to have. For now, text to speech is only available on Android devices (sorry Apple fans), but it worked out as well as any other service we have used. The Speech to Text function was very clean and accurate on both operating systems so there are really no complaints there. 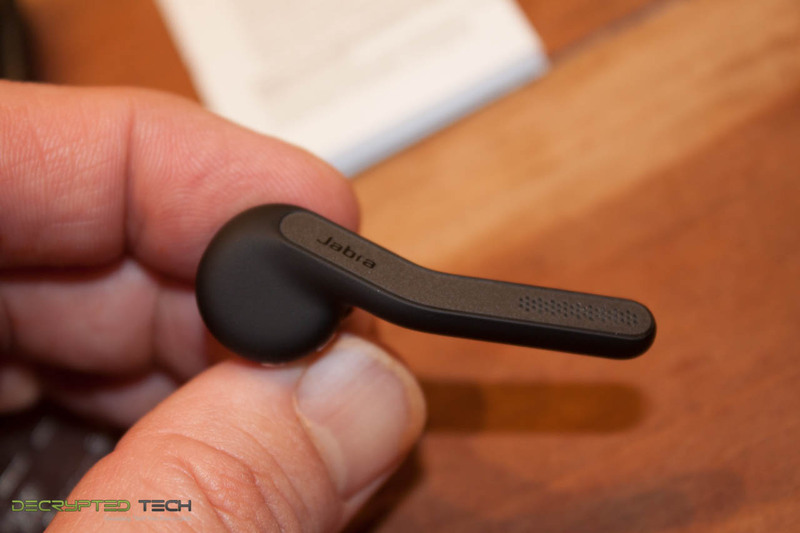 Overall the performance of the Jabra Eclipse was impressive with a few minor security concerns that need to be worked out on Android devices. Value is another very subjective topic. What is expensive to some might be a deal to others. You can look at this topic in multiple ways. One is raw price and the other is what you get for the money. Each is accurate and both are correct ways to look at price/value. We tend to look at features, performance and real-property when we discuss value. However, we also take into account the raw cash cost of the item. 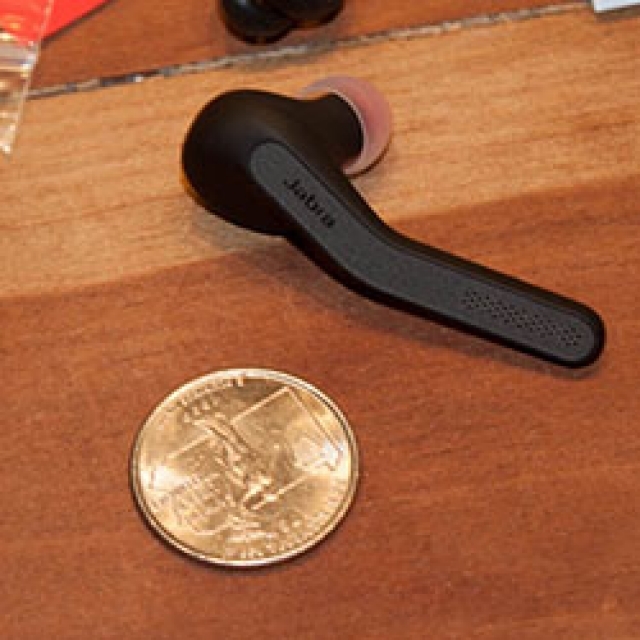 The retail price of the Jabra Eclipse is $129.99 which is on the higher end of Bluetooth headsets. 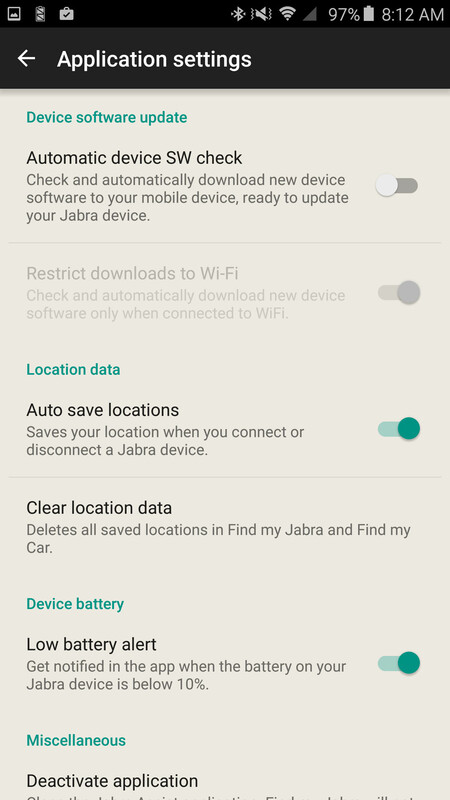 However this does not account for the extra features such as location awareness, speech to text and text to speech and all of the other features enabled by the Jabra Assist app. Most other competing devices do not include a charger like the Eclipse does so the $129.99 is not that bad at all. 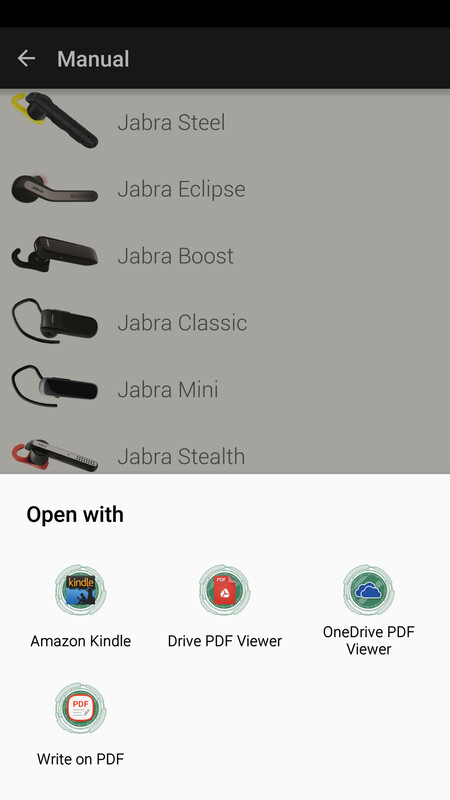 I liked the Jabra Eclipse and the features that it offers, but with the glaring security hole that is in the Android version of the app it falls very short of the mark. 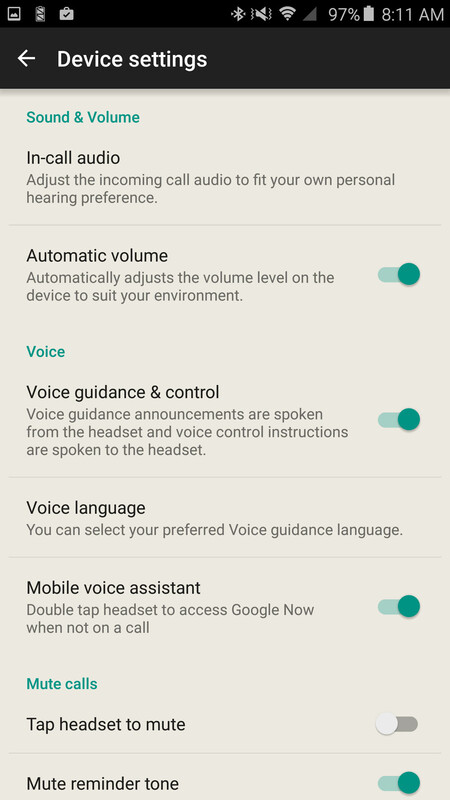 If there was a way to enable voice command while leaving the device locked it would be a must have for hands-free kits for both Android and iPhone owners. For the iPhone things are much better, but you lose the ability for the Eclipse to read back your text messages. So there are pros and cons on both sides (with the larger con on the Android side). 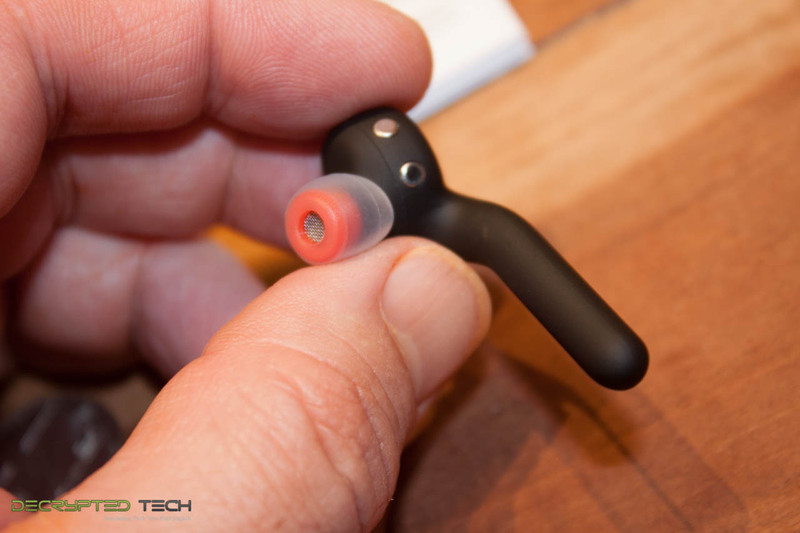 Now if you are not looking to use the speech to text or voice commands then you are going to get a very solid headset for your phone. It is just not as good as it could be.